The B360 market should be a battleground for new PC builds: it offers almost all the features needed for everyone. 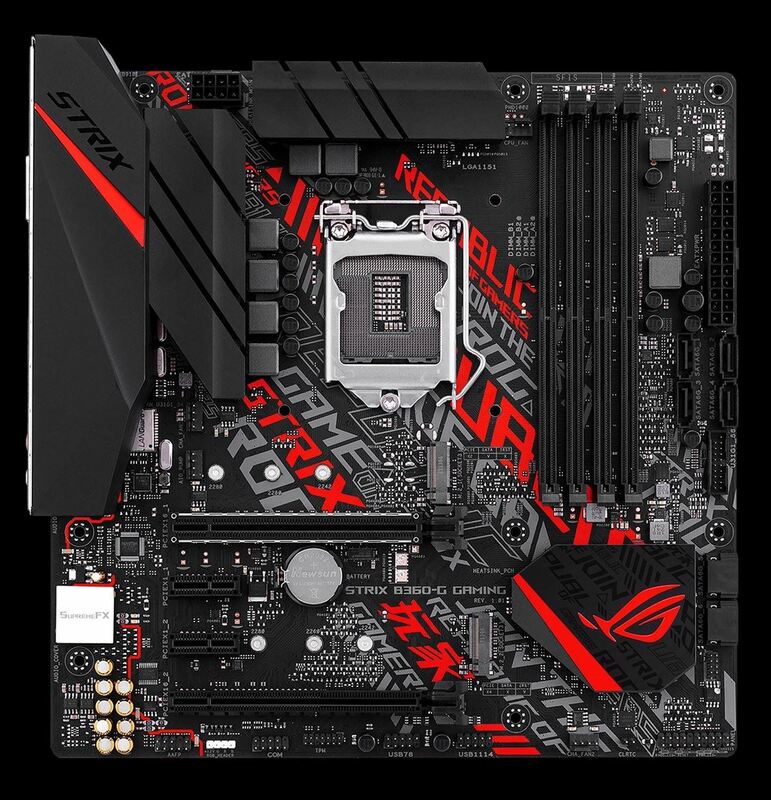 There is a lot of scope for motherboard manufacturers to be creative in this space, and still offer a reasonably priced product: ASUS' take here is the Strix B360-G Gaming, a microATX offering that dives deep into the ROG Strix branding. For users looking to build a single-GPU gaming system, ASUS thinks they have a board you should be looking at. Hardware highlights out of the way, one of the more obvious design elements here is all of the writing motifs that slice their way onto the PCB. We can see ROG branded sayings in red and grey moving from the top left-hand corner of the board widening and reaching the bottom right corner of the board. Some users may like and want this branding, others however, may not. The design choice is pretty polarizing - either users will like this or stay away from it. Other design features include red (only) LEDs on the bottom side of the board which run along the audio separation line. The style/actions of the LEDs can be changed with software, but the color cannot be changed. Overall, the black and red color scheme can fit into a lot of build themes in a typical 'gaming' fashion, but a lack of flexibility on the LEDs and the writing on the board can be a turn-off. Performance overall for this motherboard was generally competitive. One standout performance was in Non-UEFI POST times with the Strix B360-G Gaming getting through POST at 16.7 seconds which is the second fastest POST time we have seen. 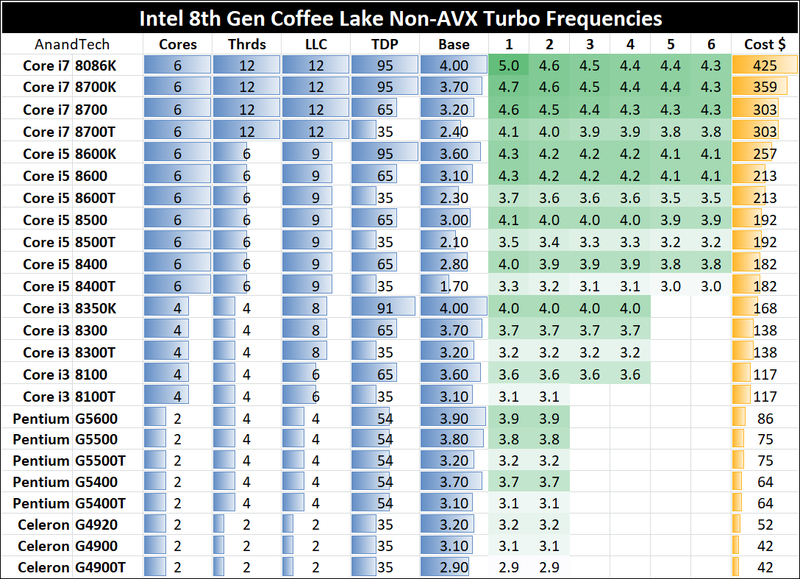 Outside of that, its other results floated around normal for the remaining tests and performed well without having to raise power limits to do so - something we have seen in a couple of other non-overclocking chipset boards we have tested. Since overclocking isn't really an option on this chipset, board choice really comes down to features and ports, appearance, and price. Key differences between this ASUS B360-G Gaming and others in its price range include the number of M.2 slots (GIGABYTE and SuperMicro boards have one, the rest two), the number of SATA ports (MSI only have four, the rest, 6), the audio codecs (this board is the only that is based off latest and greatest Realtek solution), the USB implementation, and the video outputs to name a few differences. Other boards may be a bit easier on the eyes without all the words/stenciling in the middle, but beauty is in the eyes of the beholder. The ASUS ROG Strix B360-G Gaming is currently priced around $100 at Amazon.com, behind the Supermicro C7B360-CB-M and its Wi-Fi variant, the C7B360-CB-MW, priced at $130 and $140 respectively. Other competitors include the Biostar B360GT3S at $93, the MSI B360M Mortar Titanium ($104), ASRock B360M Pro4 ($82), and a GIGABYTE B360M D3H priced notably lower at $77. *It should be noted that from this point on in our Intel motherboard reviews, we are using Windows 10 RS3 with the Spectre/Meltdown patches as well as other script adjustments. 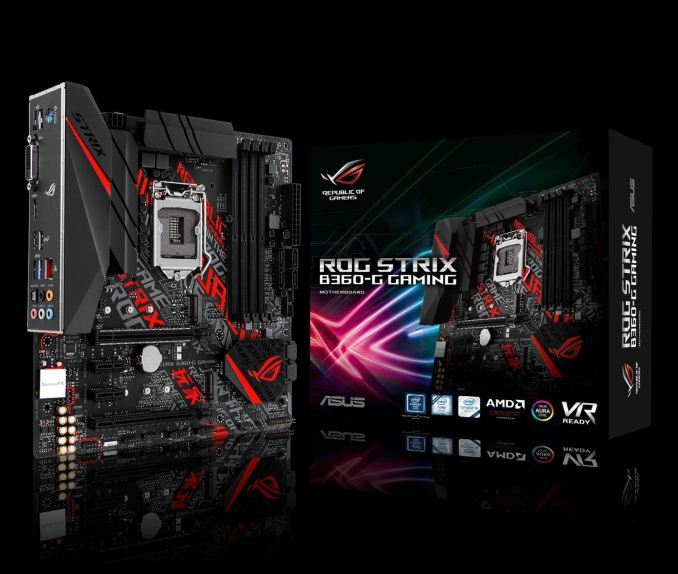 ASUS has a lot of options in varying sizes and types in their B360 motherboard lineup. There is a single Micro-ITX offering, six MicroATX boards, and six ATX size boards. We see boards from the TUF series and Prime series with many of the boards with the 'gaming' nomenclature in their titles. Prices range from $80-$140. And I thought the B450-F was a bit gaudy...at least the stenciling wasn't red and white. I'd never buy a case with a window. FCC regulatory failure aside, there will inevitably be EMI and\or RFI interference due to lack of shielding near the surface components (particularely videocards) that could result in anything from coil whine and output distortion to general stability issues. I get your point, but anecdotally I've personally never experience any instability because of a case window, and I can't recall anybody who has. * Increased manufacture cost, since the side panel requires more than "bend sheet metal"